Where have you been Roma? It’s quite a long time since you posted the orange pudding. Nice entry for the event. I have made methi parathas earlier, but this one looks very good than those. Will definitely try the next time when I buy methi. Been really busy yaar. Am currently designing a menu for a Cafe opening shortly in Bangalore. I regularly check out your bakes. They look delicious! looks delicious…long time i made those theplas..
Wow Roma, that’s really great. All the very best and have a wonderful time. Thanks so much you girls! Roma I made these for dinner on Monday. It came out very well. My husband loved it. Indeed they are. I have to try your garlic paneer side dish, the chinese style you prepared for JFI. Being a huge fan of Indo chinese cuisine, my husband would definitely love it too. Actually I got tofu to prepare that. Maybe I’ll try it atleast this weekend. It’s long time pending. Sure, do let me know how it turned out. roma..these look so yummy..thanks for the entry! Thanks a lot. 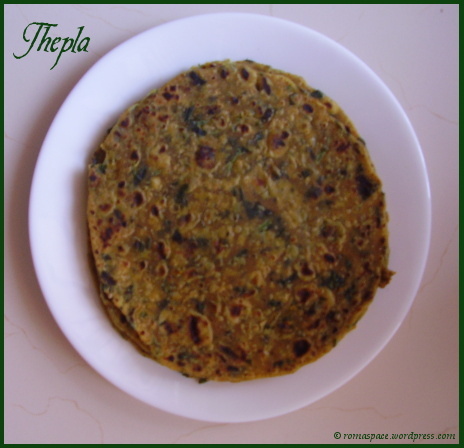 Can somebody throw some light as to which is the ingredient in thepla that gives it a long shelf life? i am going on a 10 day road trip with my family and friends and am looking for few food that can be prepared and carried which we can use during our travel. Thanks for visiting my space. When I go on trips I usually carry Bharwa Bhindi with pua (pooris where jaggery was added to sweeten the dough). This lasts for a long time and kids like it too. I tried this recipe for a recent trip of ours and the theplas turned out well. Thanks for the recipe. Hi Preeti, saw your theplas. Glad to see that they turned out well and were handy during your trip. Both my girls love it too. If they are cooled down properly and there are no water droplets after condensation, the theplas last 3-4 days. 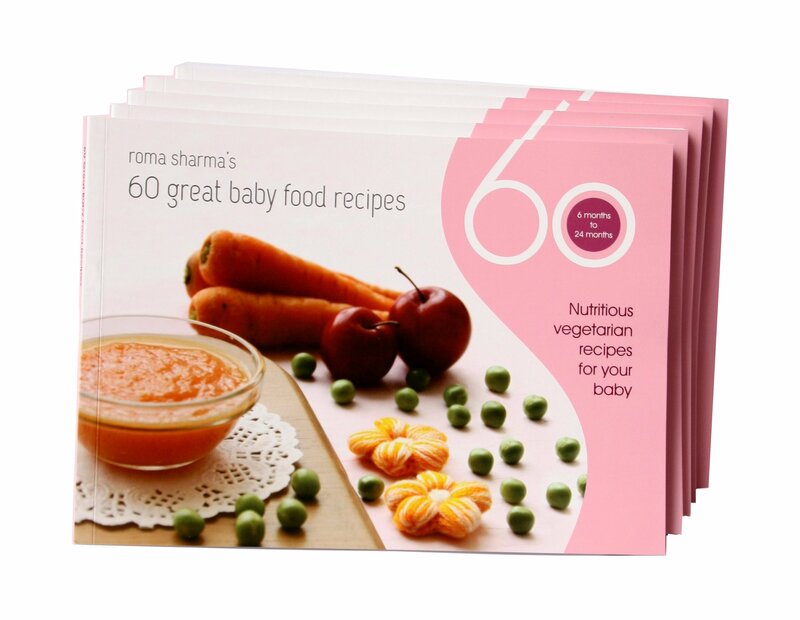 Eager to see more of vegetarian receipes ,desserts and cakes too .thanks alot. can i use kasoori methi in these thepla as methi is not available in summers ? Yes, but unfortunately it wont taste the same. Hi Arzoo, so sorry I am unsure of the shelf life if you put milk and oil. Once prepared dry it by spreading it on a big plate. Ensure that water doesnt condense. If preserved free of moisture, it can last 3-4 days.